Desire some fall decor that breaks out of the more traditional sense? 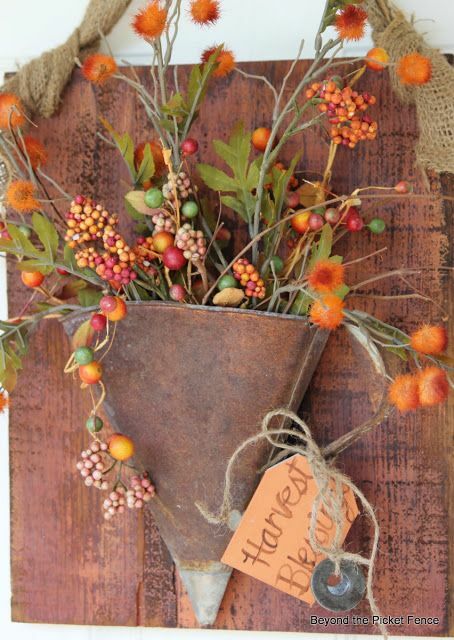 Here are some super inspiring funky fall decorating ideas that may be right up your alley! Welcome guests into the wonderful season of fall with a delicious rusty funnel… because after all, rust is the PERFECT fall colour. Why didn’t I think of this? 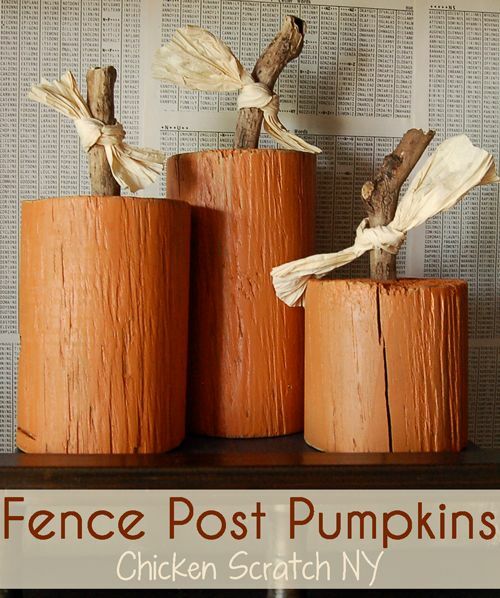 I have NEVER had any ideas on what to do with chunks of fenceposts but I certainly do now. These are so adorable! 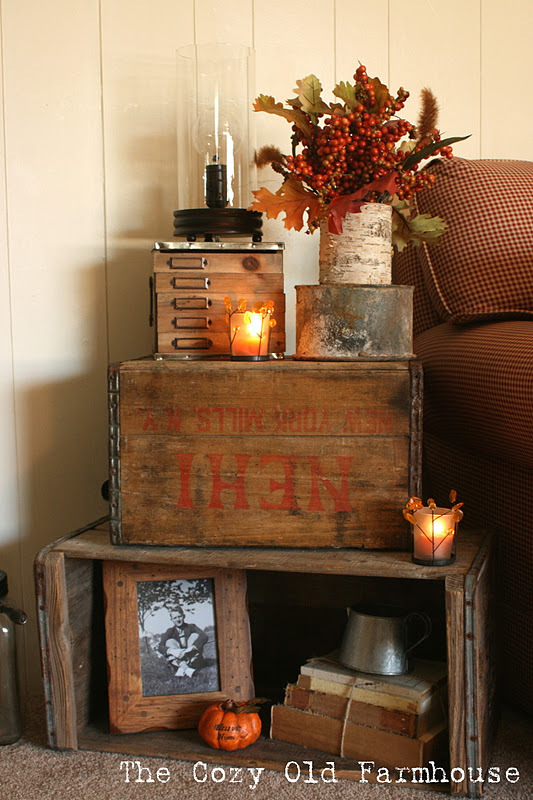 Warm, rustic, crate styled side table display, highlighted with charming fall accents. Perfection. I need this. 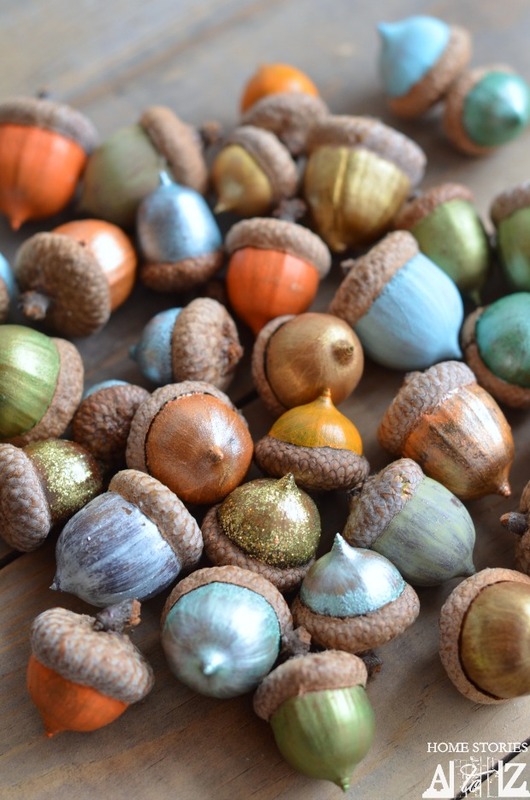 Acorns take on a whole new meaning wearing a rainbow of colours! These are gorgeous! 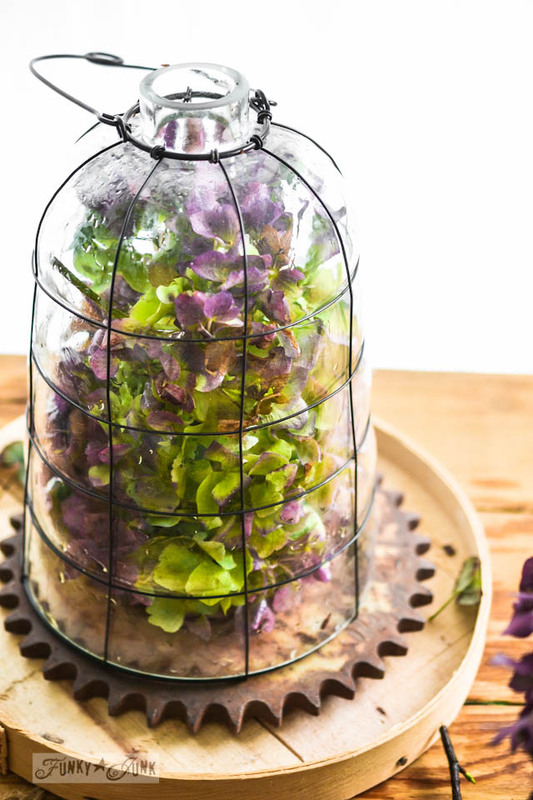 A quick and easy centrepiece idea that is all about layering what you have laying around. Rusty gears apply. Desire a few more interesting fall takes? Check out this inspirational clipboard! 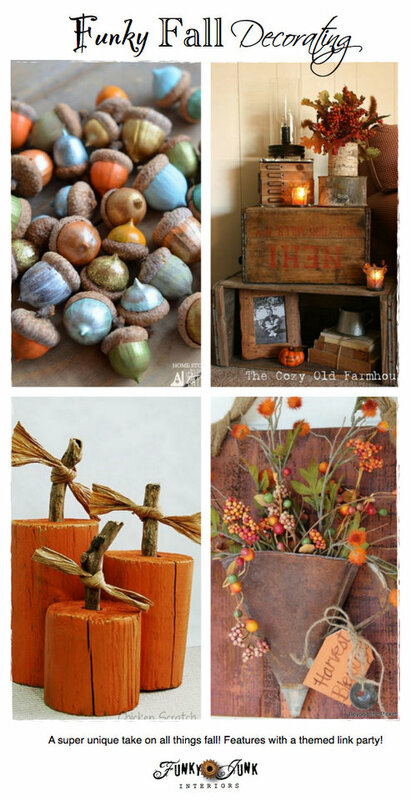 Have some funky fall decorating to share? Thanks for hosting Party Junk Donna. Happy Thanksgiving Weekend. It has been TOO long since I’ve joined one of your parties! I’m all in this week with a post under each category! Thanks for the fab party, D!! What a great party!!! Fabulous guests to visit and Fall inspirations, which AI love! Thank you for having me too. Enjoy your weekend. Thank you for the fun party, Donna! Thanks for hosting. Love the cloche and gear, what a great idea. Thanks Donna for the feature on my Hometalk fall vintage board! I just love all of the features that you chose…those rich, autumn colors just make me feel so good! Thanks for hosting and sharing them, Donna! Hi Donna, Thank you so much for hosting. Tried to link up with Fall Decor, but had some problems. Have a great weekend. 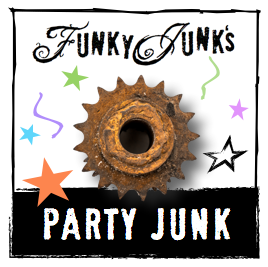 Thanks for the great features and hosting Party Junk every week, Donna! Love Party Junk Donna. Thanks for hosting. Hope you have a great Thanksgiving Weekend. Wow, Donna, great posts. Thanks for hosting another fun party. Hope you’re enjoying your weekend!